Sakaida Kakiemon I was said to have introduced the overglaze enamel technique on porcelain to the Arita area in Japan in the 1640s. 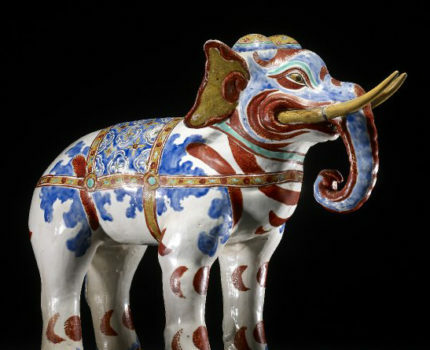 His family and associated kiln has been producing some of the most exquisite overglaze enamel decorated porcelain since and continue to do so to the present day. We are fortunate to have Sakaida Kakiemon XV along with the founder of the Kyushu Ceramic Museum, Professor Ohashi Koji to discuss Kakiemon style porcelain past and present in context with BM curator Nicole Rousmaniere. Aileen Dawson, former curator of the BM will discuss Kakiemon style in Europe and Fukunaga Ai will speak about Kakiemon ware in Seikado Museum. The afternoon is free for all to attend in the Percival David Ceramic Study Centre, British Museum. Seats, however, are limited so please contact Akiko Yano or the Department of Asia, BM to make a reservation.